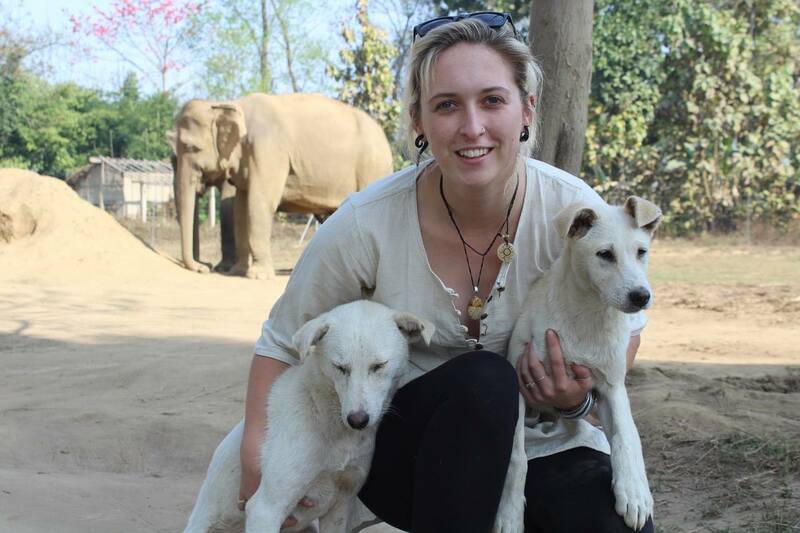 "I’m Molly Birchmore and for the past three years I have been making my way around Asia gaining as much conservation work experience as possible. In August 2016 I moved to Nepal to work at the only ethical elephant tourist facility in the country: Tiger Tops Elephant Camp. Here I came to understand the issues around the large stray and community owned dog population. Stray dogs pose a treat to livestock, the endangered wildlife of Chitwan National Park by hunting and community members by carrying rabies. With my colleague Muzza Munro we teamed up with the Himalayan Animal Rescue Trust (HART) to run a Mass Neutering and Vaccination Clinic in the villages surrounding Tiger Tops Elephant Camp. Over five days we treated 181 dogs! With the help of Chuffed.org and our amazing donors we raised over £3000 to fund the programme and give a little back to HART to help them continue their great work. In the final weeks before the clinic started, while I was finalising plans, Muzza rushed to Sumatra to aid orphaned baby elephant Paichit; an innocent victim of the palm oil industry. Found alone and starving at just over a year old, he was in dire need of our help. Once the dog clinic was completed the decision was simple; move to Sumatra to help give consistency in Paichit’s care and see him grow into a healthy, happy adult elephant. We have been working with Paichit and his Mahouts for just over a month now. We have bought 80kg of specialist milk formula, scientifically designed for baby asian elephants, from Singapore which is now an integral part of his daily diet. We have constructed a small, night-time chain free enclosure for him which he really enjoys and renovated the prep kitchen into a space his mahouts feel proud to work in. As with the rescue and recovery of any being, Paichit’s journey will inevitably encounter turbulence, we will support him and his mahouts every step of the way. With only 400 wild elephants left in the Banda Aceh region of Sumatra Paichit is a glaring reminder that we must take greater action in conserving the fragile eco-systems of this island. The only place in the world where elephants, orang-utans and tigers still live in the wild together, it is our responsibility as citizens of this planet to do all we can to stop the destruction and reverse the damage that has already been done…it is not yet too late. In the coming months, as Paichit grows, we will need to buy him more specialist milk formula and in the next few weeks we will begin construction of a larger, day-time, chain-free enclosure that will be suitable for Paichit as he grows and the other conservation patrol elephants who reside at the camp. With your help we can make this happen and ensure that Paichit not only has a future but a life worth living."